coming in February 2010, reviewed by Jackie B. It says a lot that this debut novel has already won The Bellwether Prize (an award for literary fiction that addresses issues of social justice and the impact of culture and politics on human relationships). It says a lot that Durrow is being compared to Toni Morrison, Nella Larsen and the early Langston Hughes. What can't be said until you read it for yourself is how deeply the reader will grow to care for Rachel, the lone survivor of her mother's attempted murder/suicide (her brother and baby sister were no so lucky) who has come to live with her grandmother in Portland in the early 1980s. Rachel is biracial, but her remaining extended family and the kids at school see her as black, something Rachel had never before thought about. This coming of age drama is woven into the mystery of what happened to push her mother over the edge and is told over the course of several years. It's full of characters whose whole lives were changed that day by the tragedy that day , and things come full circle in a deeply meaningful and satisfying way. I found it very difficult to put this book down. 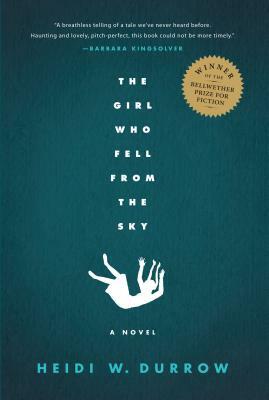 This is a powerful read and an amazing first novel by a new voice to watch in literary fiction. With the holidays coming up I find that cooking and food are on mind quite a bit. So I thought I'd tell you all about some great "foodie" books that have come out recently that I am really excited about. First is The Pioneer Woman Cooks by Ree Drummond, which I feel the need to at least mention again (see the archive for me waxing poetic about this book). We had a fantastic turnout with our signing with her at our Colfax store, learning that she has a legend of fans both in Denver and pretty much everywhere. TC just got lots more copies in, and I will say that it will make a fantastic gift for the holidays (hint, hint). Another great book is Confections of a Closet Master Baker by Gesine Bullock Prado. This book had me at its very short but very memorable first paragraph: "I saw the devil at the age of three and he gave me chocolate. It changed my life forever." Gesine (pronounced geh see neh--don't mess it up because it makes her crazy when you do) had a glamourous Hollywood life running a production company with her sister Sandra Bullock. Red carpets, "doing" lunch, meetings and schmoozing made up her daily life. And she was miserable. stayed in the back, being a self proclaimed "socially retarded misanthrope", and followed her passion for baking. They might have come the first time to see a movie star. They kept coming back because Gesine is a magician with flour and sugar and chocolate. her wit. This is a book about the importance of baking, the love and intention that goes into it all. It's also about the importance of sitting down with people, especially people you love, and enjoying fine things with one another in the middle of our too hectic lives. The retail shop is closed now as Gesine moves on to "Step Two" of her baking adventures, which involves consulting on a shop opening soon in Austin where she is " creating specialty confections with a Lonestar twist." (that from her Blogspot blog with the same name as the book). It sounds like Step 3 will be opening an online business that ships her famous macaroons and other confections. Next, I'd recommend Suzan Colon's Cherries In Winter. This reads a little like sitting in the attic with your best friend going through a box of your great grandma's old recipes, filling her in on the stories that went along with the memories of those dishes. Puzzling over faded hand-writing and laughing at some of the ingredients that haven't seen a store shelf in years. That's the kind of chatty intimacy this slim book has--as well as fabulous recipes. Colon's family has always used the comfort of good, but practical, food to get them through hard times, and that wisdom is no less useful now than it was 50, 75 or 100 years ago. This book leaves you feeling like you just got a big hug from your Grandma right after she's dried your tears and slid a piece of warm cherry pie in front of you. And, lastly, I'm really impressed with Mollie Katzen's (of Moosewood fame) Get Cooking. possible. Which I loved. I've read through her Moosewood books and often been frustrated by their complicated instructions or exotic ingredients. There is very little of that here, and it's confined to the "get creative" sections of each recipe. This book is accessible to everyone, with enough tips and twists on recipes to keep a seasoned cook interested. Heck, her version of Waldorf Salad actually sounds GOOD, which is a minor miracle in my pot-luck scarred opinion. This would make a great first cookbook for a person just starting out on their own, or a great addition to anyone's bulging cookbook shelves. Okay, that's it. I've gotta stop writing and go eat something! 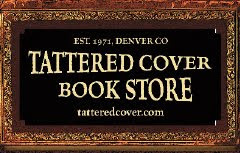 Used Books At Tattered Cover!!! 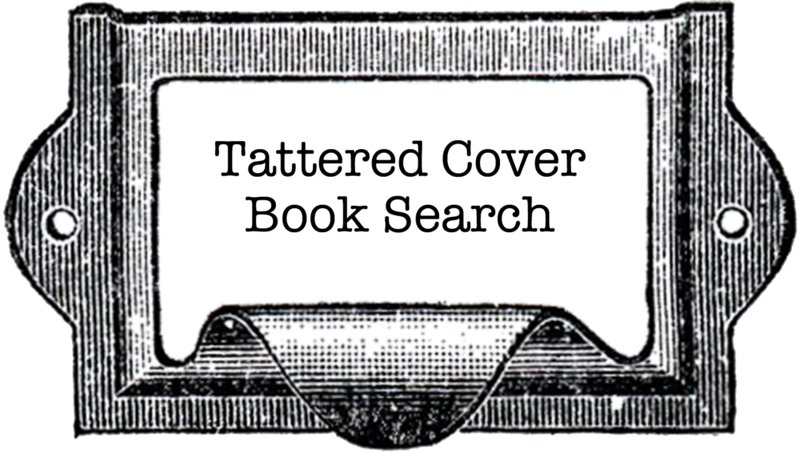 We are pleased to announce that the Tattered Cover Book Store is now selling used books in addition to the thousands of new and bargain books we've always carried at our stores. We are starting with a modest selection at our Lower Downtown store and hope to expand the selection to all three stores in the near future. 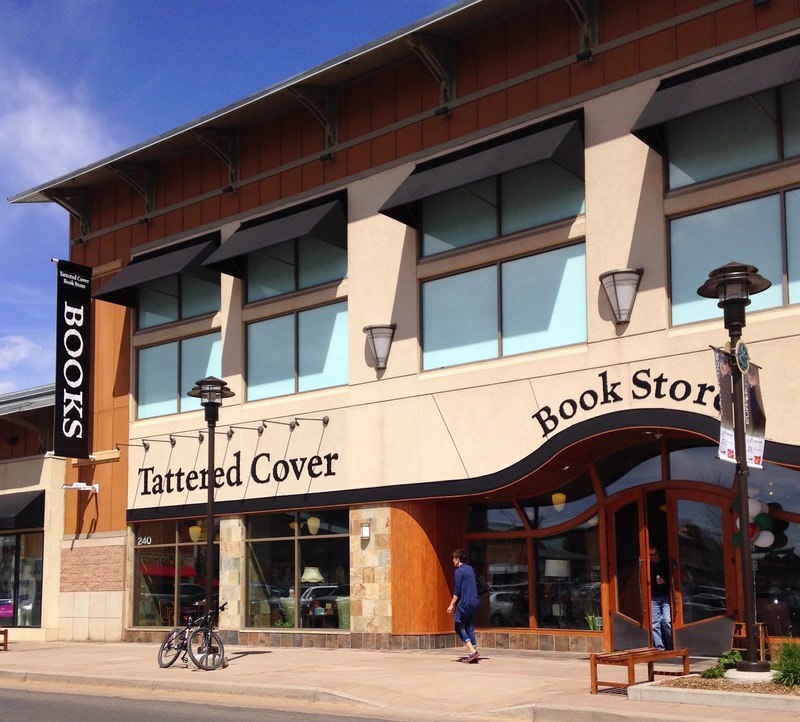 If you have used books that you would like to "sell" to the Tattered Cover, you'll find our buying times below. At this time, we will only be offering credit vouchers that may be used to purchase any items (excluding gift cards) from all three of our stores and coffee shops. He will be available at the Lower Downtown store from: 10:00 a.m. to 3:00 p.m., Tuesdays, Wednesdays and Thursdays. An Ad Hoc Gift List for Foodies This Holiday Season! 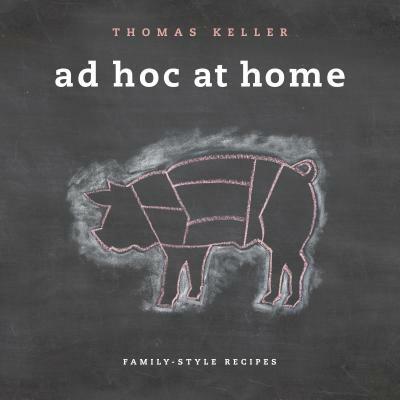 I thought the season would pass without a new cookbook that would awake the desire to rejoice in food and to sample the joy of cooking a perfect roasted chicken or other splendid winter fare, but then Thomas Keller's new cookbook Ad Hoc at Home appeared, just in time. Keller is a genius of a chef and now he has turned his attention to the family table. He is concerned with making you a better and more creative cook with many tips and suggestions for variations. Rose's Heavenly Cakes by Rose Levy Beranbaum. Generally, I don't recommend specialty cookbooks as gifts but there must be an exception for this new offering by the author of The Cake Bible. Don't forget that Falling Cloudberries by Tessa Kiros. Blue Eggs & Yellow Tomatoes by Jeanne Kelley will be new to those folks who peek in the cookbook section once a year. I have found the recipes in Blue Eggs to be amazingly good and not all that complicated. Mastering the Art of French Cooking seems to call for a copy of My Life in France. The Gourmet Today Cookbook ("newly" published, but not so different from The Gourmet Cookbook) should do well since the demise of the magazine, but don't forget to pair with one of the fine books of essays by Ruth Reichl, such as Tender at the Bone. The Joy of Cooking, a perennial favorite gift book, can be all the more welcome with a copy of Ken Zraly's Windows on The World Complete Wine Course, a well-written introduction to wine (which bears quiet testimony to the restaurant lost in the 9/11 attacks). Bon Appetit, friends of Julia everywhere. It's a new month, and that means we, here at the Tattered Cover, have selected a new V.I.B. (Very Impressive Book). 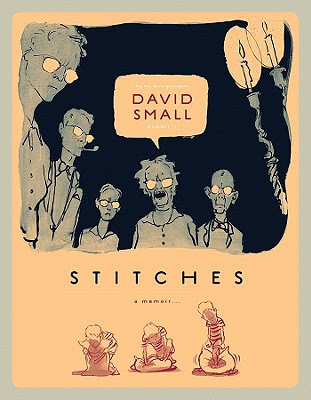 November's selection is a book I've talked about here before: Stitches by David Small. Even more of our booksellers have read this book, and we've all decided more people need to read this book. It's so impressive. Stunning. Harrowing. Beautiful. Amazing. Those are some of the adjectives booksellers have told me about this book. young man. What this book is really about is family, independence, and coming of age. This book does well at what is best about graphic novels. Visuals have a way of producing emotional responses in ways that words can't. The loneliness and frustration in this book are palpable. On an artistic note, there are some fantastic visual transitions. If you don't read graphic novels this would be a great introduction to them. If a picture is worth a thousand words 'Stitches' is a massive and powerful tome. I finally sat down and read this book this weekend. The tales are true--it reads really quickly. Unless, like me, you get lost in the haunting illustrations that kept me mesmerized for minutes on end. His artistry is masterful and nearly overwhelmingly powerful. His story is heart breakingly bleak, his ability to keep himself together and find a life of happiness and love through art is awe inducing and as inspirational a tale as I have ever heard. Please, give yourself the gift of reading this book. I read through it--it took about an hour. I cried. Then I read it again. Here is a link to some of David Small's other books. Labels: Staff Picks Chuck, Staff Picks Jackie, V.I.B.